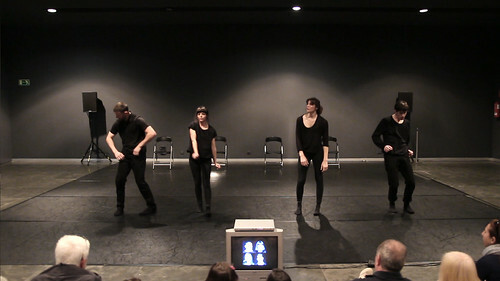 The project arose from a commission from the MuVIM (Valencian Museum of Illustration and Modernism) for Taiat to create a specific dance piece to perform as part of the celebrations for International Museum Day on the 18th of May, 2014. When the choreographers began exploring ideas for the creation of a piece specific to International Museum Day in the MUVIM they were inspired to also make a theoretical investigation into the presentation, history and new possibilities for dance within a museum space. Since the presentation in MuVIM the company is on tour for museums and centers of contemporary art across the national ans international geography. The presentation of the dance piece in diverse art environments will allow for an experience that is specific to the construction and spatial characteristics of each site. The intention is to approach each museum space, alert to the mood suggested by each distinct site and with the aim of generating dialogue and exchanges with the public based on the opinions expressed in a survey completed by the audience members. In this manner, the interruption of dance into museum spaces facilitates a new form of communication between museums and the public. A flyer with information about the dance piece and a summary of the objectives of the investigation will be handed out before each performance. Via the questionnaire that is also included the public are then able to freely express their impressions of the performance. In this manner it is not only the experience of the artist and performer that is taken into account but also the public’s perception of their experience of dance within a museum. 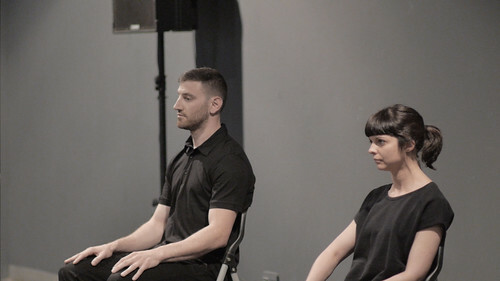 The opinion of the public about their encounter with dance in a museum as opposed to a conventional theatre space is an important element of the follow-up investigation. The artistic team behind this project propose this work as a choreographic route to travel via distinct “Episodes”, just as the museums involved will also form a part of the succesive Episodes. Each Episode will be numbered and each museum that participates will give name to that particular Episode. ‘NO HALF MEASURES. 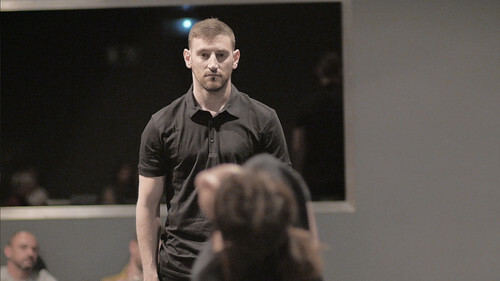 Episodes of Dance in museums’ is a choreographic investigation into identity via a collective self-portrait. 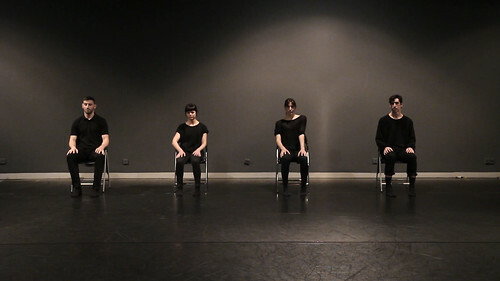 Four faces, which appear in constant movement, construct a fiction to narrate the transformation of the body. The scene offers a panoramic vision of the individual thinking which manifests in a state of constant body-on-body contact. The individual memory begins to transit from the personal reality of each of the dancers to the point in which a collective fiction is generated as a result of the collective encounters, behaviours and collisions between the distinct identities. It represents a firm promotion of the need to recognise a personal identity within a previously collective identity. 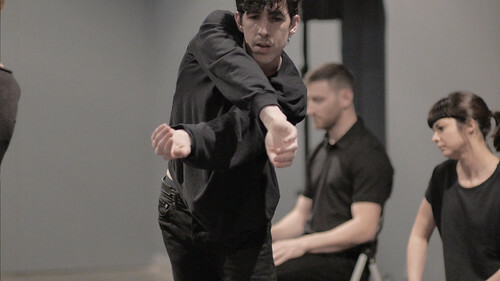 Blind trust mandates that the dancers move without any half-measures, to take urgent action in record time and to fully invest in the process. Directors: Manuel Rodríguez, Inma García and Meritxell Barberá. 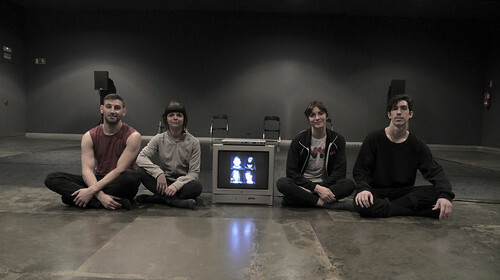 Choreography and Dancers: Ramón Vera, Manuel Rodríguez, Inma García and Meritxell Barberá. A co-production of: MUVIM (Valencia), Museo Bòlit (Girona), MACBA (Barcelona), City Museum New York, Museo Pablo Serrano (Zaragoza), Museo CAAC (Sevilla), Museo CAC (Málaga), Museo Guggenheim (Bilbao), Museo EACC (Castellón), Museo MUSAC (León), Centro Arte Contemporáneo Huarte (Pamplona), Teatro Rialto (Valencia), Festival Cádiz en Danza y Dantza Hirian. Festival Transfronterizo de danza en paisajes urbanos.